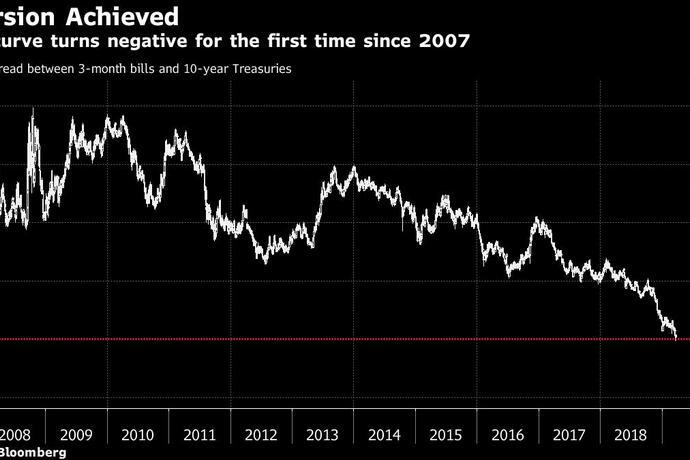 (Bloomberg) -- A closely watched section of the Treasury yield curve on Friday turned negative for the first time since the crisis more than a decade ago, underscoring concern about a possible economic slump and the prospect that the Federal Reserve will have to cut interest rates. 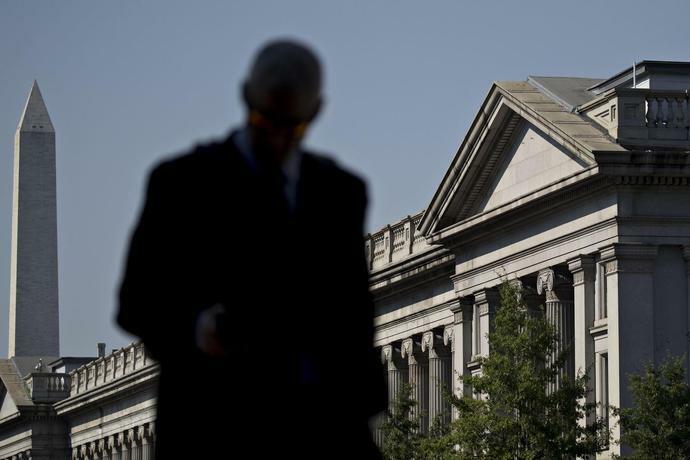 U.S. central bank policy makers on Wednesday lowered both their growth projections and their interest rate outlook, with the majority of officials now envisaging no hikes this year. That's down from a median call of two at their December meeting. Traders took that dovish shift as their cue to dig into positions for a Fed easing cycle, pricing in a cut by the end of 2020 and a one-in-two chance of a reduction as soon as this year. The 3-month to 10-year curve is widely favored as an indicator that the economy is within a couple of years of recession. But Friday's move is an extension of the inversion at the front end of the curve that happened in December. The gap between the 2-year and 10-year yields has also narrowed, to around 10 basis points. --With assistance from Elizabeth Stanton.